Audiobooks are in the midst of a boom. Last June, the Audio Publishers Association reported that the field grew a whopping 34 percent between 2015 and 2016, and by all accounts, that growth is continuing. Readers are increasingly listening to fiction, and some of the most successful science fiction magazines have begun recording audio adaptations of their stories. One of the best out there is the Clarkesworld Magazine Podcast, narrated by Kate Baker. 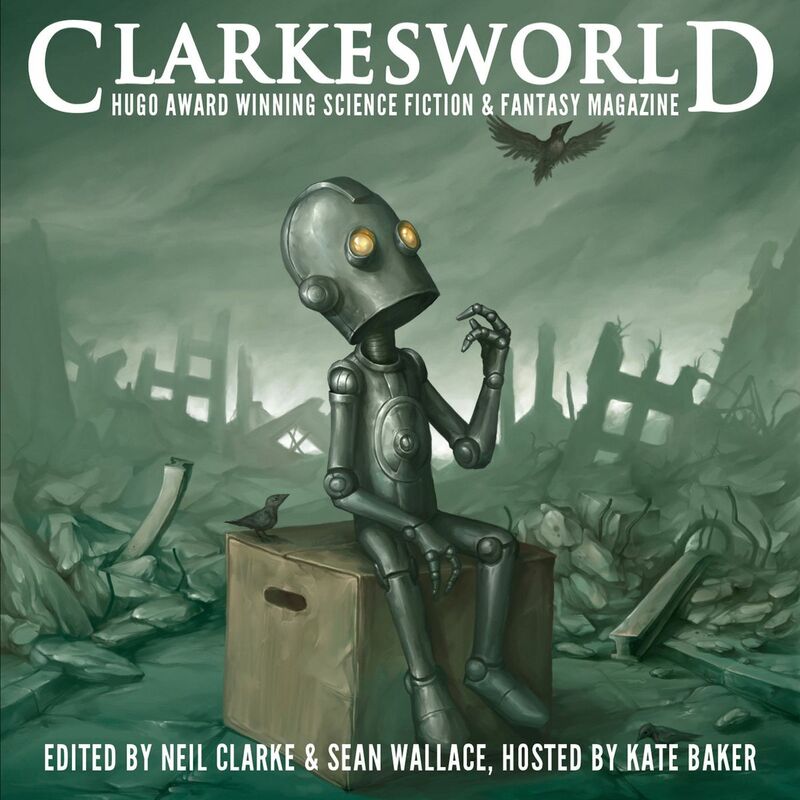 Founded in 2006 by Neil Clarke, Clarkesworld Magazine publishes a wide range of sci-fi, fantasy, and related nonfiction from authors such as N.K. Jemisin, Ken Liu, Rich Larson, Ian McDonald, and others. (Disclaimer: Clarkesworld published a pair of nonfiction pieces that I wrote). Since then, it has earned nominations and wins for the genre’s highest honors, including the Hugo and Nebula Awards. Recent episodes of the podcast have covered a wide range of stories. In “Not Now,” by Chelsea Muzar, a Japanese girl contends with hostility from her neighborhood and classmates after the arm of a giant robot fall onto her house from space, while in Eleanna Castroianni’s “Without Exile,” a case worker named Nell helps process refugees from a war-torn world. In Allen M. Steele’s “Martian Blood,” a Martian colonist leads an Egyptian-American astrobiology professor on a tour as he works to prove that life on Earth originated on Mars. As we’ve seen with other short fiction podcasts, short stories and novelettes lend themselves well to the podcast medium. Each episode runs anywhere from 40 minutes to almost two hours, just enough time for a commute or a walk. Because Clarkesworld uses a single narrator — Kate Baker, the magazine’s podcast and nonfiction editor — and makes all of its fiction available as a podcast, it stands out as a long-running series of the field’s best short stories. Listen on Clarkesworld Magazine’s website, and on Apple Podcasts, Beyond Pod, CastBox, Google Play, Pocket Casts, Player.FM, Podible, PodBean, PodBay, Stitcher, TuneIn, and YouTube. Baker told The Verge after Clarke and co-editor Sean Wallace founded the magazine in 2006, they decided to branch into audio within a couple of years. “It was just another way of getting these stories out to the public.” One of the first regular narrators for the podcast was Mary Robinette Kowal, an award-winning author who served as the vice president of the Science Fiction and Fantasy Writers of America (SFWA), but when she had a work conflict in 2009, Baker came onboard to fill in, and later became the full-time narrator for the series. Is this the new GoPro Hero 6 Black?